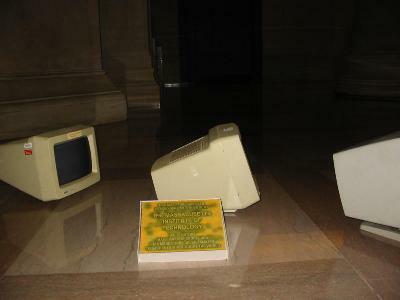 A line of ancient computer monitors followed their leader across Lobby 7 in tribute to the Boston-based children's book Make Way for Ducklings, in which a friendly police officer stops traffic to let a line of ducklings follow their mother across the street. 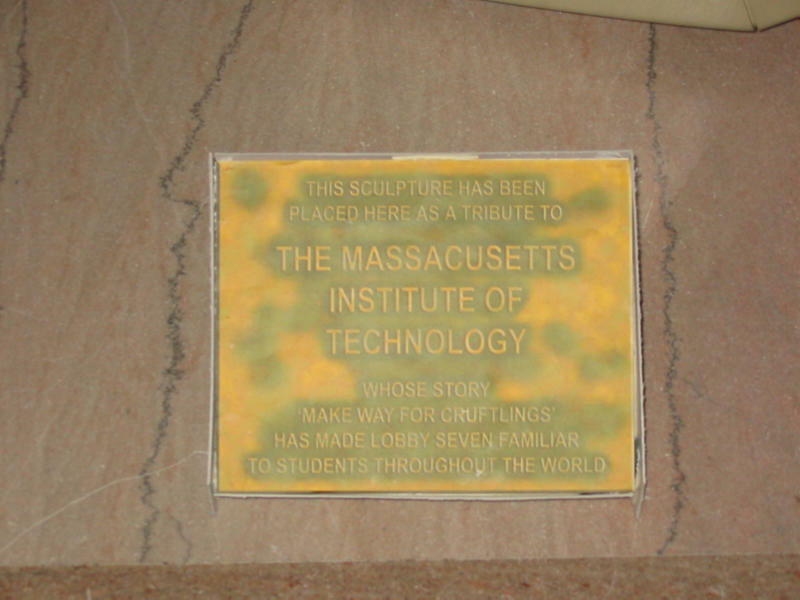 The book is commemorated with a plaque and a line of bronze ducklings following their mother in the Boston Public Garden. 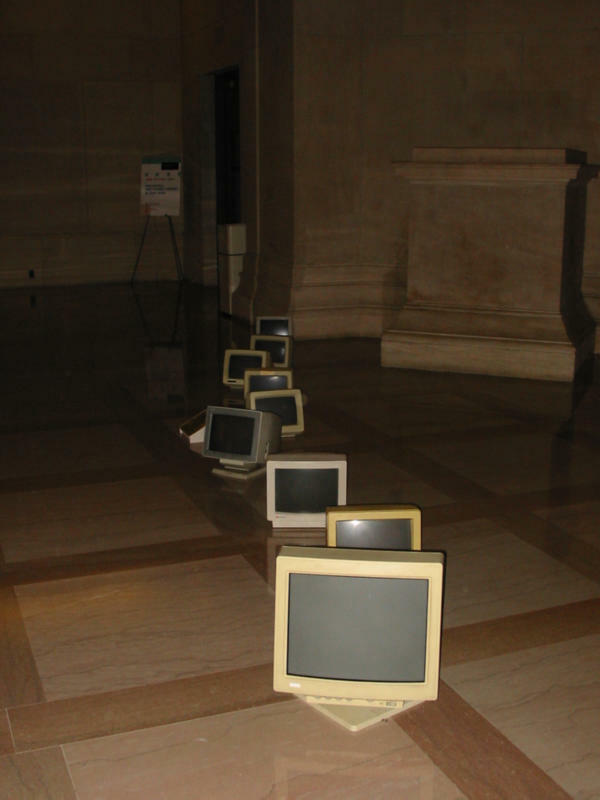 MIT hackers added their unique touch to the parody with a line of "cruft" (computer jargon for the obsolete junk that builds up in many a hacker's home or office) following each other across the lobby. 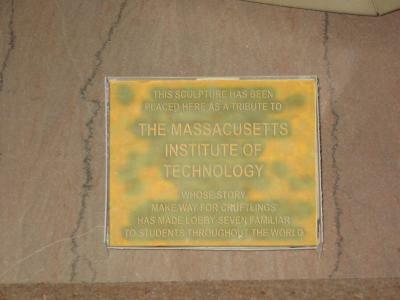 A plaque, similar to the one found in the Boston Common, accompanied the hack.